So, you're coming from YNAB Classic—maybe you think of it as YNAB 4, or maybe you've been hanging onto YNAB 3 or even YNAB Pro for a long l o n g time. 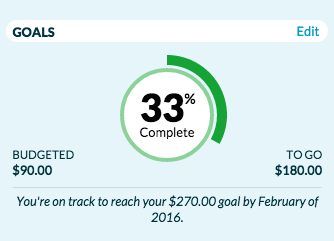 Thanks for being such a loyal YNAB user! We were once YNAB Classic users, too, and we're pretty excited about what you'll find in the newest version. Sure, it's not exactly the same, and we'll lay out a few of those things, too. The YNAB mobile apps were always great for checking your budget or recording spending on the go. Our Classic app will still do those things for you. But the apps for the web-based YNAB recently received a major update—so you can do things like, let's see, budget on your phone—iOS or Android! There are reports, too, and just about everything you'll find in the web app. What won't you find on the mobile apps? Reconciliation and spending reports (but you will find an Age of Money report!). That's really about it. Try one out—you've never been so in touch with your budget. YNAB now includes a handful of features you won't find on Classic. Import transactions directly from your bank. This improves upon the prior import feature, which required you to first visit your bank’s website and download a set of transactions. YNAB now does that for you in the background. Still love grabbing a file from your bank yourself? No problem, we've got a vastly improved File-Based Import for that. As with the previous importing feature, you will still need to review and approve your imported transactions, because we are still YNAB and awareness is a big part of why YNAB works. Direct Import will be a huge convenience for a lot of people, but you will still be hands-on with your budget, building awareness, and being intentional about prioritizing and decision making. Your budget has always helped you reach financial goals, but now YNAB will help you visualize and monitor your progress, including making budgeting recommendations based on the goals you have set. That’s so much better than making you name your category with an amount you were trying to save. No more negative budgeting to get money out of a category. To move money from one category to another, simply click on the Available amount for that category. To cover overspending (it happens to the best of us! ), simply click on the overspent amount in your budget. No more complicated math on the side. So simple – you’ll love it. Not much explanation required here. This has always been one of our most-requested features, and it’s easy to see why—enjoy! Even a new pair of slippers doesn't always feel just right immediately. Not everything works the same way in YNAB, and if you're making the switch, this can cause some confusion. The Scheduler in YNAB 4 always allowed you to stay organized and on-time with bills and future transactions. It's now integrated right into your register. Just pick a future date for your transaction and then set it to repeat, right there as a part of the normal entry process. Easy. Future-dated transactions will appear in gray and sit right at the top of your register – no more needing to split your attention between two places. You can opt to see or hide those transactions by filtering them. Of course, since they’re in the future, they won’t affect your budget until that future date arrives and they automatically appear as normal transactions. 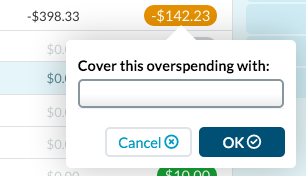 In YNAB Classic, all overspending worked the same way, by being deducted from the next month's budget if you didn't cover it. And with cash spending (meaning your checking acount or something like it, not just literal cash), that's the way it should work and still works. But with credit card overspending, you actually still have the cash. Instead, what you've done is to create additional debt. So if you don't cover credit overspending in the current month, that's where you will see the effect—in your credit card balance, not in your category or in To be Budgeted. Nothing has changed about the best action for overspending—cover it in the current month. As a YNAB Classic user, you might find yourself looking for two columns in the register that didn't make the leap to the new YNAB. We're all just putting these in the memo field now. And you can still search by 'em there. The space the running balance column used in YNAB Classic is given over to the Inspector. However, you can search for transactions on or before any particular date, and then use the Selected Total feature to see the balance on that day. Just because you're ready for a new YNAB doesn't mean you want a new budget (though a fresh start always reveals new things about your budgeting habits!). You can bring it with you—check out the full run-down in our Migrating from YNAB4 article.